Trello for weForms - Auto Create & Organize Tasks From Form Entries! Save time and energy by integrating your weForms with Trello. 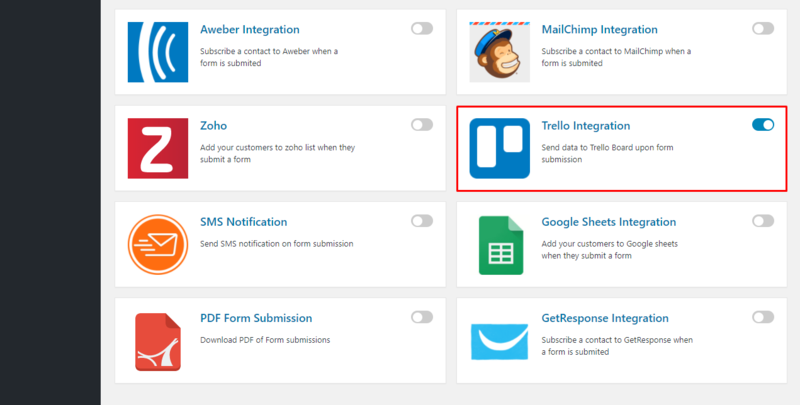 Instantly create task cards from your form submissions with this module. 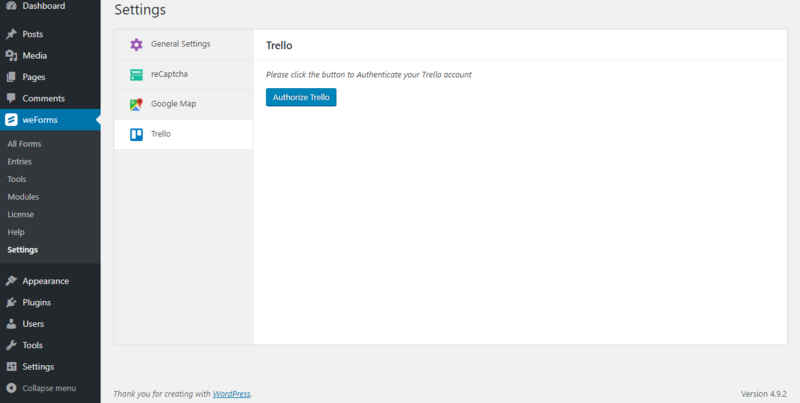 Select the name and description to be applied to each Trello card mapped from form input fields. Link the card name and description to any form field, e.g. form name, contact name, contact subject and more. Trello is a web-based project management application by Atlassian. It gives you perspective over all your projects, at work and at home. Whether it's managing a team, writing an epic screenplay, or just making a grocery list, Trello is your sidekick for getting things done and staying organized. 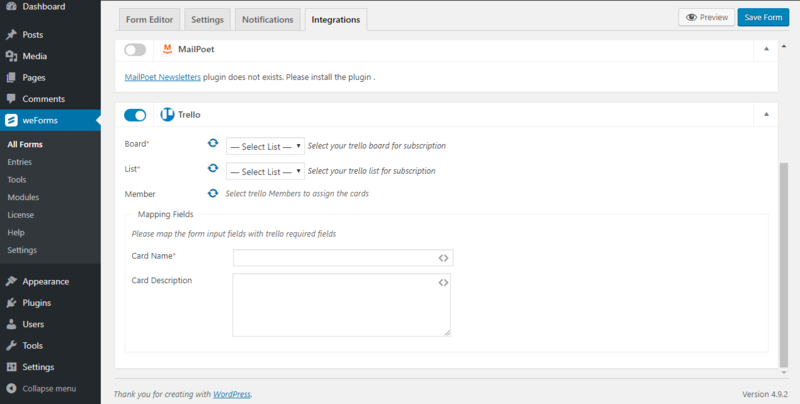 This module enable infromation transfer between your forms created with weForms and directed Trello board. Stay super organized and efficient. Stay ahead of the game always.